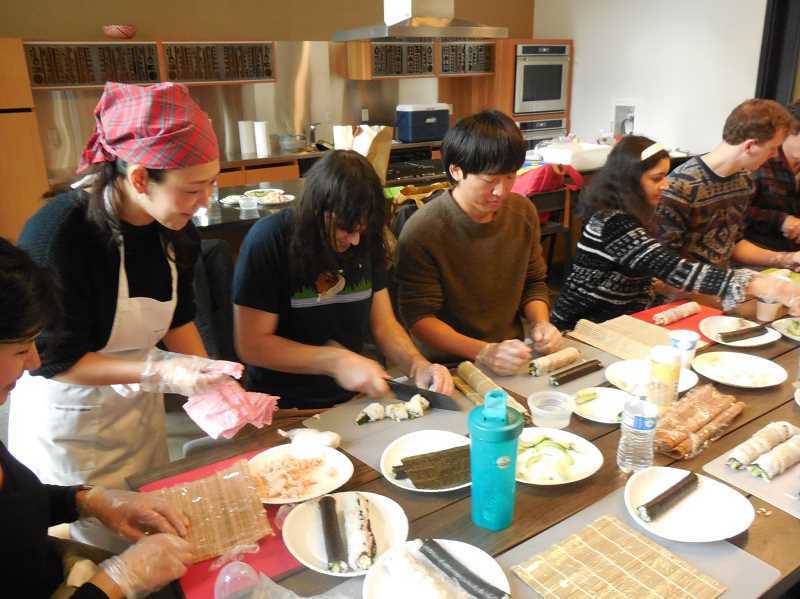 North Plains Public Library hosts sushi tutorial as a part of its Cultural Literacy Series. Want to cross "learn to make your own sushi" off your bucket list? The North Plains Public Library is hosting "Sushi with Maki," a Japanese cultural literacy event, on Saturday, Jan. 12, from 1 to 3 p.m. at the North Plains Senior Center, 31450 N.W. Commercial St.
Attendees will be able to learn to make a sushi roll, as well as taste-test miso soup. Teaching this memorable afternoon is chef Maki Kato, a sushi chef who completed the Japanese Sushi Instructor Association's course for decoration sushi instruction in 2013. Since then, she has built experience working abroad in Dublin and taking courses in Nagoya, Japan. Maki became a Makizushi Club Ambassador in 2018, which introduces sushi rolls to the community. Kato said her favorite part of teaching sushi courses is watching learners finish making their first roll, she said. "I can see that they are very happy by making it," she said. Admission is free but reservations are required, library volunteer coordinator Carol Aldrich said. The library's cultural literacy events have been "wildly popular," Aldrich said. Past events have included courses on kitchen spices, edible wild plants and canning and preserving foods.